Finally…some string quartets by Harold Budd, out on Darla Records in November 2012. I wrote about them previously here. 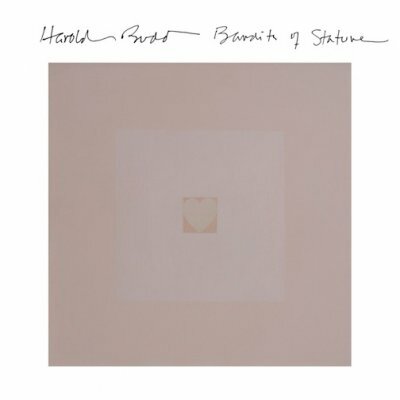 Darla is pleased to offer a new record of string quartets by Harold Budd. Bandits of Stature is a first as it comprises 14 compact Budd composed string quartets played by the Formalist Quartet. Harold Budd is a one-of-a-kind, modern neo-classical artist with a career spanning 40 years. Bandits of Stature has the characteristic Budd minimalism one may expect, yet in new, or classical, form. On Bandits of Stature, he has created 14 elegantly simple, avant-garde string quartets, each with his own unique and subtle tension and abstraction and sometimes-pastoral but as-often otherworldly mood shining through. This is also Budd’s most melancholic work ever. It is a work that can only come from an artist with such unique vision and maturity as he. Whether deep dark or bright light, the listener is as always transcended to an enlightened state within the balance of empty space and substance, presented at times with wistful nostalgia, often with great idealism and persistently with love and beauty. From the classic Brian Eno and Robin Guthrie-produced Harold Budd records, lush with studio-as-instrument creativity and singular ethereal guitar work respectively, up to his most recent album In The Mist, Harold’s piano is always recognizable within the first three notes of any song. His style is just that unique. That same melancholic, thoughtful style is present as well in the Budd composed string quartets on Bandits of Stature. He effortlessly manifests more feeling in one album than most artists do over the course of a decade, gives at least as much attention to the negative space as to each phrase and as always exercises a sense of economy in which less is a great deal more. All Music Guide calls Harold “an American ambient/neo-classical composer”. He is absolutely the World’s number one minimalist, ambient, modern classical composer. That said, he abhors the word ambient. “Ambient: Every time I read this word I cringe: I’ve been kidnapped by something I neither know of nor care about; it’s better by 1000 times than “New Age” from 2 decades ago, but still…” Although his work is often called ambient, minimal and classical, these labels do no justice to the quiet beauty and singularity of his work. There’s a new ambient album from Brian Eno coming out in November 2012. LUX is his latest ambient album, first in years. I’m thrilled about this, not so much so with his song collaborations in recent years. 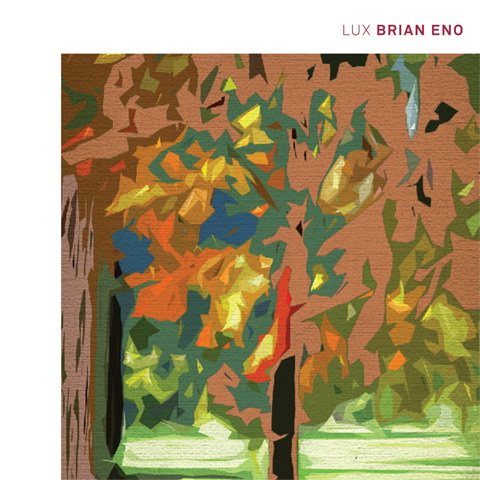 LUX is Brian Eno’s first solo album on Warp Records and his first solo album since 2005’s Another Day On Earth. It finds him expanding upon the types of themes and sonic textures that were present on such classic albums as Music For Films, Music For Airports and Apollo: Atmospheres and Soundtracks. Eno sees it as a continuation of his ‘Music for Thinking’ project that includes Discreet Music (1975) and Neroli (1993). 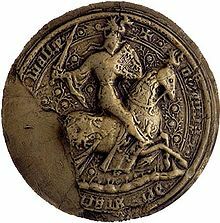 LUX is one of Eno’s most ambitious works to date; it is a 75-minute composition in twelve sections that evolved from a work currently housed in the Great Gallery of the Palace of Venaria in Turin, Italy. The album is Eno’s third for Warp, following two collaborative albums Small Craft on a Milk Sea (with Jon Hopkins and Leo Abrahams) and Drums Between The Bells (with Rick Holland). LUX is released on November 12 2012 (13 in N. America) LUX is released on November 12 2012 (13 in N. America) on CD and Download, and December 10 2012 (11 in N. America) on LP on Warp Records. Another in an ongoing series of horn players who double on flute. Today, on his birthday, Sam Rivers. recorded in performance at The Jazz Workshop, Boston, February 13 and 14, 1971. Recent listening, no comments from me today. There’s a hilarious review by Dwight Garner of this book in today’s New York Times, A Talking Head Has Something to Say. Swept Away from Marc Johnson (bass) & Eliane Elias (piano) featuring Joey Barron (drums) with Joe Lovano (tenor sax). Johnsons previous ECM release Shades of Jade was a keeper, so I’m looking forward to this one too. We learn from the press release that Eliane Elias is now married to Johnson, she was at one time married to Randy Brecker. Fascinating. The new Michael Formanek (bass) album is titled Small Places. Tim Berne (alto saxophone), Craig Taborn (piano) and Gerald Cleaver (drums) join the composer. Tim Berne always plays with such interesting sideman, so I’m taking notice of Small Places, also looking for a copy of his performance on Formanek’s ECM debut The Rub and Spare Change. Pianist Craig Taborn is another good reason to check these disks out. Berne’s album Snakeoil is a favorite of mine this year, it’s deep, with so many sections to each composition. The band performed their next planned ECM album at the Greenwich House of Music, NYC last June (2012), it’s in the same bag, great dense music, I’m anticipating hearing that album someday when it’s is recorded and released. ECM seems to be paying more attention to New York City Jazz these days! 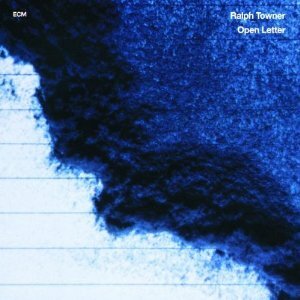 Open Letter is a now old favorite with classical guitar over Prophet synthesizer landscapes from 1991. Chairoscuro is Towner’s most recent on ECM, duets with trumpet player Paolo Fresu, sweet, pleasant enough, Towner doesn’t seem to play 12 string guitar anymore. I heard his early set with Oregon at Birdland, NYC a few nights ago. I wish he played more guitar, he also plays keyboards. I enjoyed myself anyway, the band was great. It was first time I’d heard Towner live. If only he’d perform more solo gigs in the states! Terje Rypdal, guest…Galasso loops up violin soundscapes…kind of disappointing. Early session with John Abercrombie and the ECM house rhythm section of Palle Danielsson and Jon Christensen . Abercrombie is into his post-McLaughlin bag here, light strings and guitar pedals. From June 1975, just two months after the insane debut of Gateway trio with Dave Holland and Jack DeJohnette. I’m having my first encounters with ’70s McCoy Tyner now and it’s about time. I’ve been wanting to check out Sonny Fortune and Azar Lawrence on these albums for a while.